There are a lot of books and articles around to inspire you to take the leap to the unknown if you are unhappy with the direction your career has taken. They all state that the journey will be a rough one but it is worth the effort. What if you did your research, made the transition but a few months down the road, you realize it doesn’t work out as you planned it. What do you do? 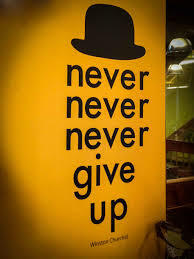 Do you give up or not? There is no doubt that this is a very difficult decision to make. Nevertheless, you need to ensure that you don’t let your emotions influence your decision. There are plenty of stories around where perseverance was the reason for the ultimate success. At the same time, ‘failing fast’ has been the mantra of most entrepreneurs. – Does it make financial sense? With a few months of experience under your belt, you can make realistic predictions about the financial matters. If you believe more time is needed for the initiative to take off, then explore options to support yourself during this period. You can get a part-time job, do some consulting, or find somebody who believes in your idea and is willing to invest his/her money in order to be part of its future success (My advice: avoid getting money from family and friends because if things goes awry, you will not only lose money but also some of the people you care). – Does the career change make you happier? If it isn’t what you expected and doesn’t make you feel fulfilled, then it is no-brainer. Accept you have made a wrong choice and start exploring other options. You definitely learnt a lot during the last few months that will help you design your next move. Many times our career goals evolve based on our experiences. Unless we act, we cannot really find out whether we like something or not. If you are convinced that you won’t be able to earn a living out of it but you still loving doing it, then you may want to consider how this initiative can be evolved you so you can still work on it during your free time (evenings, weekends and vacations) while you find another job that will help you pay the bills. 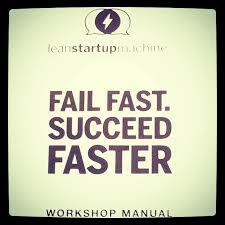 Sometimes ‘failing fast’ is the best business option although it is difficult to accept it emotionally. The Bottom Line: There is no wrong or right answer and definitely there is no risk-free option.You are the one who needs to decide whether the ‘Never Give Up’ or the ‘Fail Fast’ philosophy applies in your specific case. Korina Karampela is the founder of b4iapply, author of 2 books, coach and speaker. She has been working as senior pharmaceutical executive for 14 years and has an MBA from MIT Sloan. Her blog b4iapply is recommended by The Guardian for professional development. This entry was posted in b4iapply to college, Before I apply, Career Advice, Career Change and tagged Career change, Fail fast, Never give up. Bookmark the permalink. 2 Responses to If You Made a Career Change that Didn’t Work Out, Do You Give Up or Not? Correct this sentence: Sometimes ‘failing fast’ is the best business option although it is difficult to “swallow” it emotionally.